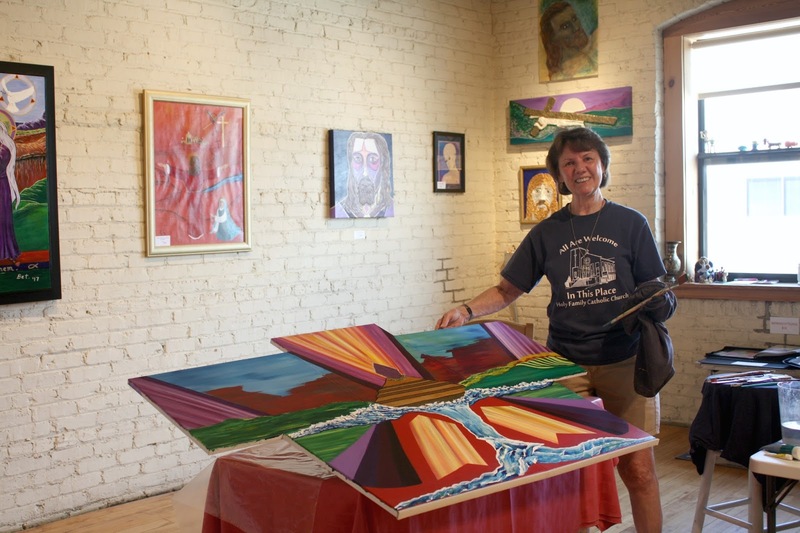 While exploring the the Quad Cities, we encountered a vibrant artist community. For those with a passion for local art or those curious about creative processes, a visit to the Bucktown Center for the Arts is a must. 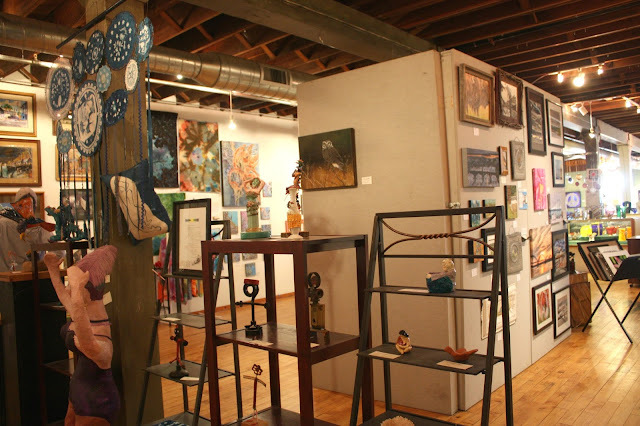 The Bucktown Center for the Arts is an artist collective where up and coming artists can rent space to create and sell their pieces. The building itself has quite a history resting in a section of Davenport once known as the "red light" district with brothels and speakeasies. The area also cultivated musical culture being home to an opera house, orchestra and dance halls. The Bucktown Center for the Arts itself was originally a dancing pavilion or dancing saloon owned by Brick Munro. Al Jolson once worked at the pavilion as a singing waiter before his career took off. The renovated center still echoes the building's artistic past with art displays lining the halls and artists at work in their studios. Dan Johnson works on art while discussing his process. During our visit, we met several artists working on pieces. We were treated to learning about Black Line Fine Art Studio & Gallery by artist Dan Johnson as he painted. Visiting artists in their studios affords an unparalleled look at the artistic process and a new understanding of how a variety of techniques and media go into making a creative piece. Additionally, you have the ability to ask artists about their process. The doors of learning are really opened and you can bring home a wonderful piece of art with new understanding! Bet Gusta shows us one of her inspirational pieces. We also met Bet Gusta whose artwork is vibrant and inspired by Christian and uplifting themes. Her choices of bold colors really draw you in. Upstairs, the center has a shop where you can purchase art. You can also purchase various pieces on display throughout the center. The shop area also has space for a rotating exhibit. Overall, I was surprised how much art was displayed in the space. At the same time, there was plenty of space to move around and really look at pieces. 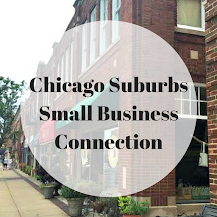 The Bucktown Center for the Arts is the perfect place to witness art in action and pick up a special piece made in the Quad Cities. There are pieces in a variety of price ranges making it even easier to find a little piece of the Quad Cities back home with you. One gallery also had stunning photos of the area -- a nice memento of the Quad Cities! Fun summer art exhibit -- Summer of Love -- at The Bucktown Center for the Arts. 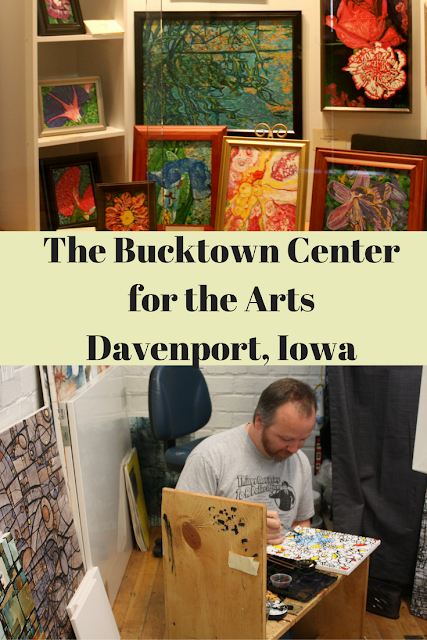 After visiting the Bucktown Center for the Arts, there are other places in the Quad Cities to explore local art. 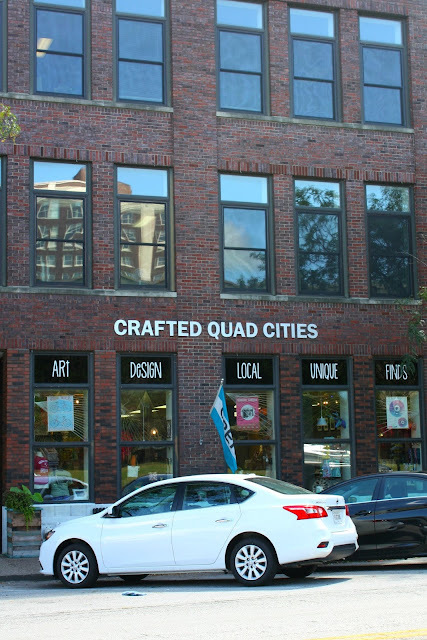 Just up the street from the center is Crafted Quad Cities which features locally crafted gifts. Rock Island also has a cluster of local art galleries for perusing and picking up something special made in the area. 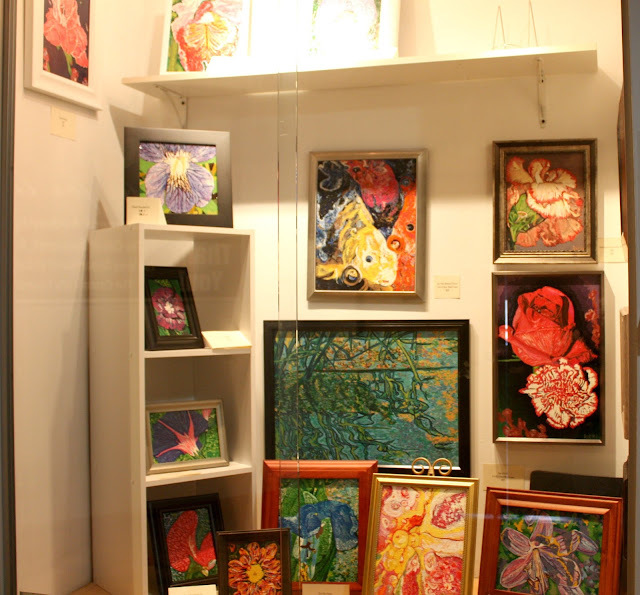 The art ranges from earrings to paintings to sketches to vases and everything in between. While we did not have a chance to check it out, we also learned about Hot Glass in Davenport where you can take a class and blow glass! The Quad Cities have many opportunities to peruse local art and to see artists in action. 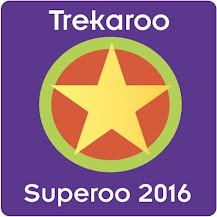 This provides in incredible learning experience for families while making it is to support local artists. The Bucktown Center for the Arts does host a Final Friday the last Friday of the month which gives the community the opportunity to interact with artists. Plus, there are snacks! 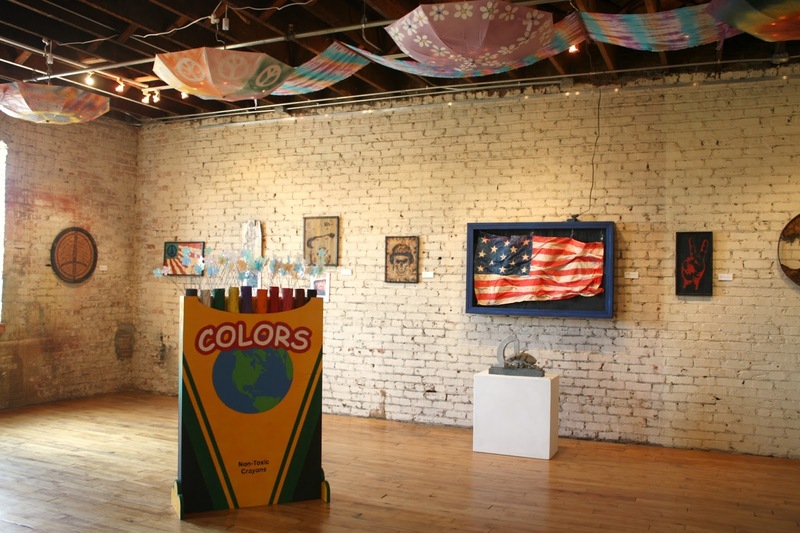 The center also holds many events throughout the year and collaborates with other art events in the area. Make sure to put The Bucktown Center for the Arts and other local art experiences on your list for your next Quad Cities visit! 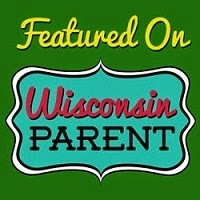 **Disclosure: Thank you to Visit Quad Cities for hosting our visit. 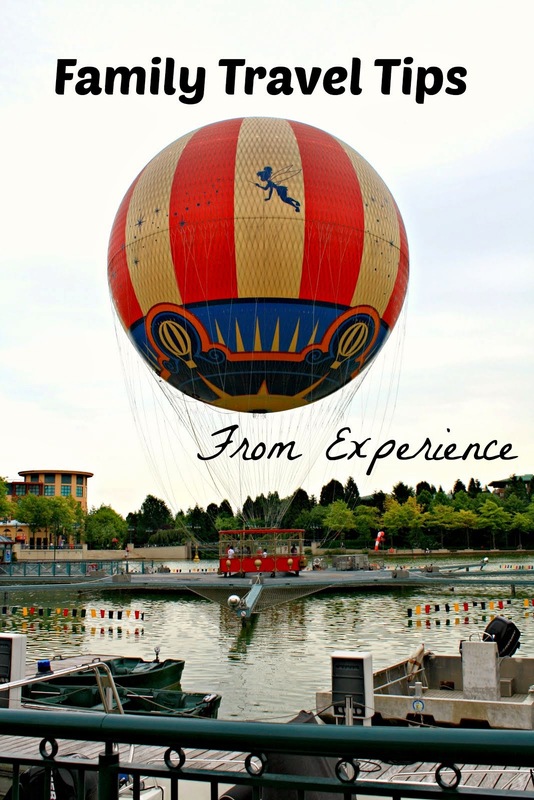 We received complimentary experiences in ordered to facilitate to bring these reviews to you. No other compensation was a received. All opinions are 100% my own. I love visiting art centers. Each one is different and offers a new perspective with unique art!